Ronald W. Periard | Giffin, Winning, Cohen and Bodewes, P.C. 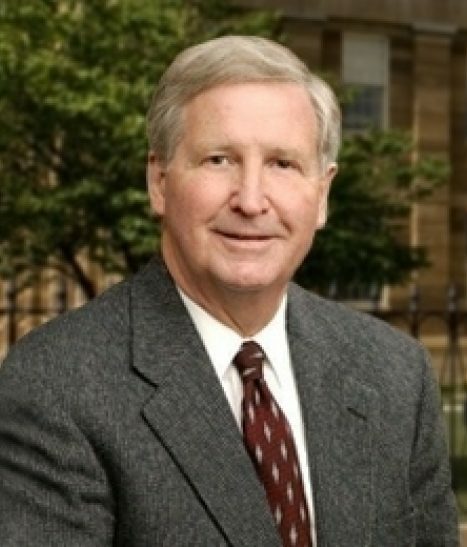 Ronald W. Periard focuses his practice in the area of estate planning and trusts, real estate, and banking. Ron has handled numerous of complex estate plans, where he was able to help families minimize estate and gift taxes through appropriate planning. He also has an excellent track record of facilitating the transfer of assets, such as land and small businesses, free of taxes. Ron was also instrumental in setting up a special needs trust for a family with a disabled child so that family members could gift the child money and/or property without endangering his eligibility for benefits in the future. Ron has handled various audits by the IRS relating to estate tax returns. His successes in this area include sustaining discounts of minority interests in farms and businesses and resolving issues related to the valuation of such interests in property and split interest ownerships. Ron has helped hundreds of people buy and sell real estate, including commercial property, farms and homes. In the ‘70s and ‘80s, Ron successfully handled a number of large Housing & Urban Development closings that entailed completing vast amounts of paperwork and overcoming bureaucratic red tape. Also, Ron was primary counsel in litigation resulting in a termination of a lifetime crop share farm lease procured by a grandson from his grandmother under unusual circumstances. As well as serving as the president of a bank for several years, Ron has a rich background in the legal aspects of banking. Ron was the lead attorney for an individual bank officer in a proceeding initiated by the U.S. Comptroller of Currency. In that case, the Comptroller asserted that an individual member of the bank board had strict liability for loans extended by the bank in excess of the legal lending limit of the bank. Ron prepared and argued the case in the hearing and subsequently before the Federal Appellate Court. The Appellate Court held that the individual board members were not strictly liable in the case at question; the individual members would only be liable if the Comptroller could prove that they had actual knowledge of and participated in extending such a loan. Ron represented a school district that had suspended two students who only had 3 days left in the school year for alcoholic beverage consumption on a school bus. As a result of the suspension, the students were unable to take some of their final exams and were thus prevented from graduating with their classmates. Ron argued the case for the school district and was successful in getting both the U.S. District Court and Federal Appellate Courts to rule that the suspensions of the students would stand.